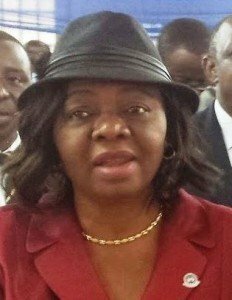 New President of the Chartered Insurance Institute of Nigeria, CIIN, Lady Isioma Chukwuma has said that her administration will focus on promoting insurance awareness by increasing the visibility of insurance in national consciousness. economic growth” at her investiture ceremony as the 47th president of the CIIN in Lagos, Chukwuma said that the theme is borne out of the conviction that they can achieve greater success for the Institute and the insurance industry as a whole if they consolidate on the gains the Institute has made in the last few years whilst leveraging on such gains of the industry for national economic growth. Chukwuma said that she will also focus on promotion of the ideals of the Insurance Industry Consultative Council, IICC, as the establishment of the lICC and its landmark success in enthroning insurance industry unity cannot be over-emphasized. She said that she will reinforce the huge potentials of the Centre for Insurance and Financial Management Studies as the Centre shall be given further prominence through sustained publicity geared at tapping fully into the opportunity for human capital development for the insurance industry. Chukwuma said, “Situating the CIIN on the global stage: this will involve articulated efforts geared at enhancing the Institute’s certificate for global acceptability, especially by up-scaling’ the collaboration with the Chartered Insurance Institute (UK). “Follow-up on the recognition of the CIIN Certificate by the Head of Service of the Federation: we will ensure that all necessary approvals are obtained so that our certificate holders are appropriately placed in the Civil Service structure. Further work on achieving wider coverage in the presentation and distribution of the Institute’s sponsored Insurance Textbook for Senior Secondary Schools; renewed pursuit of training for insurance teachers on a national scale; completion of the Institute’s examinations syllabus review; commencement of work on the Institute’s Victoria Island Property; pursuit of the expansion of the Institute’s examinations to countries in West, East and Central Africa sub-regions I.e. Ghana, Sierra Leone, Liberia, Kenya, Uganda, Zimbabwe etc; as well as promotion of CIIN members’ benefits, “Chukwuma said.